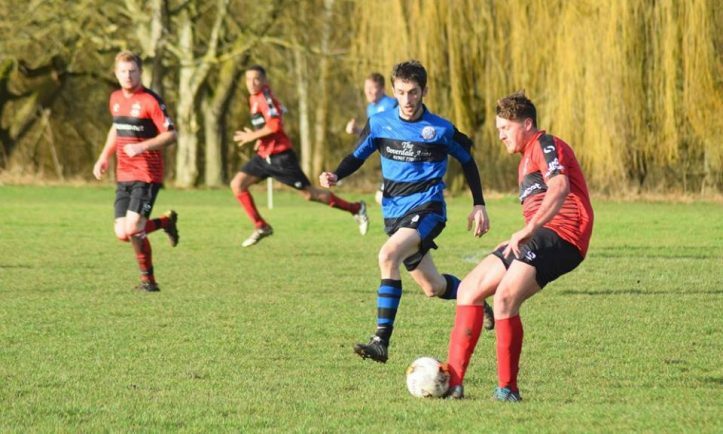 AUSTIN Ex Apprentices maintained their 100 per cent winning record in the Bromsgrove League Premier Division with a narrow 3-2 victory at winless Chaddesley Corbett. Andy Innes had given Corbett the lead before Austin’s Shay Palmer was sent off for violent conduct. But the visitors struck back before half-time through Ben Judd. Andy Nicol then put ten-man Austin ahead but Corbett fought back through George Ginn. However, the drama was not over as with ten minutes to go Josh Westwood hit the winner for Austin who made it seven wins out of seven. In Division Two, bottom-of-the-table Redditch United Sunday picked up their first point of the season after holding second-from-bottom Spa Athletic to 3-3 draw. Perry Reynolds, Karl Stokes and Matt Winsper netting for Athletic. Meanwhile, Studley Lions lost their 100 per cent winning record at Awkies Allstars with a narrow 1-0 defeat. Mike Wakeman with the decisive goal for Allstars. Nathan Steward hit a hat-trick for Chaddesley Pensioners in their 6-3 victory at Division Three basement boys Crown Athletic. Perry Reynolds, Karl Stokes and Matt Winsper were also on the scoresheet for Pensioners. Kings Norton Sporting thrashed Lickey End Social 7-2, thanks to goals from Jack Hodgson (3), Paul Heath (2), Matt Connolly and Ashley Taylor while Hewell Grangers and Royal Eagles shared the spoils in a 3-3 draw. There were goals galore in the two games in Division Four, with 26 goals coming from just two games. Second-placed Catshill thumped winless Bromsgrove Raiders 11-1 with Joe Brookes, Marcus Albutt and Stee Collett netting trebles while Redditch Borough ran out 10-4 winners at Millfield Rovers.